We would love to see you…and hear what you have to say. By her own account, Marie Kondo was an unusual child, poring over lifestyle magazines to glean organizing techniques and then stealthily practicing them at home and school, confounding her family and bemusing her teachers. As she writes in “The Life-Changing Magic of Tidying Up: The Japanese Art of Decluttering and Organizing,” which comes out this month in the United States and is already a best seller in her native Japan and in Europe, she habitually sneaked into her siblings’ rooms to throw away their unused toys and clothes and ducked out of recess to organize her classroom’s bookshelves and mop closet, grumbling about poor storage methodologies and pining for an S-hook. 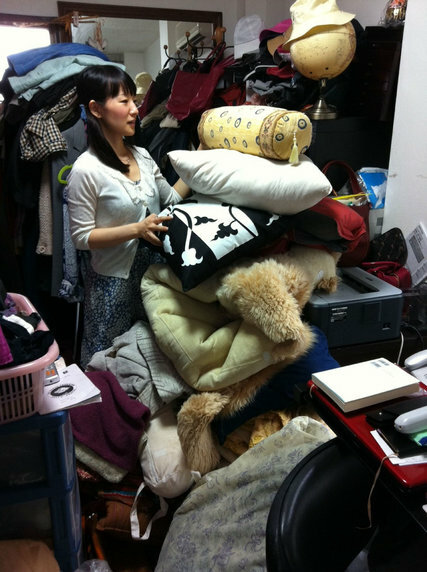 Now 30, Ms. Kondo is a celebrity of sorts at home, the subject of a TV movie, with a three-month waiting list for her decluttering services — until recently, that is, because she has stopped taking clients to focus on training others in her methods. Last Friday, I brought her book home to practice them. What better moment to drill down and ponder the fretful contents of one’s sock drawer? Global and national news was careering from the merely hysterical to the nonsensical (the Ebola cruise ship incident was just peaking). Closer to home, other anxieties beckoned. But in my apartment on Second Avenue, the world was no larger than my closet, and I was talking to my T-shirts. Let me explain. 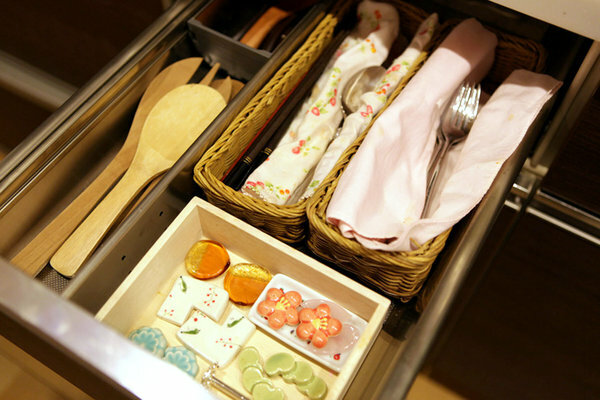 Ms. Kondo’s decluttering theories are unique, and can be reduced to two basic tenets: Discard everything that does not “spark joy,” after thanking the objects that are getting the heave-ho for their service; and do not buy organizing equipment — your home already has all the storage you need. “Does it spark joy?” would seem to set the bar awfully high for a T-shirt or a pair of jeans, but it turns out to be a more efficacious sorting mechanism than the old saws: Is it out of style? Have you worn it in the last year? Does it still fit? “Sparking joy,” I realized, can be a flexible concept: That which is itchy, or too hot, is certainly joyless. So is anything baggy, droopy or with a flared leg. Tidying is a dialogue with oneself, Ms. Kondo writes. Of course, after 10 or 12 hours of this, you get a bit silly. You forget to thank your discards. (Country music can help. Try George Jones and Lucinda Williams.) By 9 p.m., I had lost Ms. Kondo’s book in the layers of clothing, hangers and shoe boxes. And my glasses, too. How to distinguish one black turtleneck from another? Why would anyone buy purple tights? What is joy, anyway? At 1 a.m., my daughter appeared, raised an eyebrow at the piles still obliterating my bed and offered up her own. But I was ready to fold, the primal act of Ms. Kondo’s method. You can find YouTube videos of her technique, but it’s not so hard: Fold everything into a long rectangle, then fold that in upon itself to make a smaller rectangle, and then roll that up into a tube, like a sushi roll. Set these upright in your drawers. And pour your heart into it, Ms. Kondo urges: Thank your stuff, it’s been working hard for you. Tidying, Marie Kondo says, is a dialogue with one’s self. 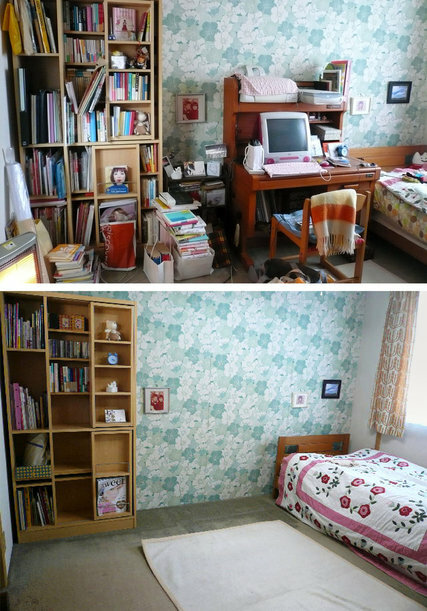 Right, a client’s bedroom, before and after her ministrations.